The UK Government is negotiating an bilateral agreement with Ethiopia that would protect investors in agricultural projects - like those under way in the Omo Valley, where indigenous tribes are being evicted en masse to make way for gigantic plantations. Any stop to the land grabs, and the UK investors could sue. Photo: Mursi tribal member, Omo Valley, by Rod Waddington via Flickr. Thanks to TTIP the corporate drive for free trade is once more facing critical public scrutiny, writes Alex Scrivener. But in the rush to oppose TTIP we mustn’t lose sight of the context in which the deal is being negotiated — the hundreds of bilateral treaties that give corporations the right to sue in secret ’trade courts’. Europe has finally woken up. Public opposition to the Transatlantic Trade and Investment Partnership (TTIP) has put trade agreements back on the political agenda. At least as citizens of the world’s most powerful trade bloc, we can fight TTIP in the knowledge that our politicians have the power to stop it. But in numerous African, Asian and Latin American countries, dozens of bilateral investment treaties (BITs) are being negotiated with a much less equal playing field, and less opportunity for the public to stop the corporate power grab. Sold on the premise that they incentivise much-needed investment into poorer countries, BITs actually give foreign (often western) investors huge new powers over the economies of those countries, forcing liberalisation onto them in the process. They allow richer countries to bypass the World Trade Organisation (WTO) which, despite a serious lack of democratic accountability, still requires the consent of member states. This allows southern countries to club together to defeat proposals. That’s why talks at the WTO have been effectively stalled since the late 1990s. By negotiating separate deals with individual countries, rich countries have managed to get some of what they want by picking off countries one by one. So, since the 1990s, deals such as the UK-Colombia BIT, or the myriad EU Economic Partnership Agreements with African countries, have been multiplying at a dizzying rate. Back in 1991, there were just 400 BITs in force worldwide, now there are over 2,500. And unlike the EU negotiations over TTIP, southern countries struggle to negotiate any wiggle room for themselves within the one-size-fits-all prescription of blanket liberalisation. Take the infamous investor-state dispute settlement (ISDS) system that allows companies to take countries to arbitration for making legitimate policy decisions that happen to reduce corporate profits. So far, much of the debate around these ’corporate courts’ has concentrated on the possible consequences here in the EU if TTIP is concluded. But these corporate courts are already allowing corporations to hound less powerful countries for taking action to protect their people. Argentina is one of the most targeted counties, being sued at least 16 times under the US-Argentina Bilateral Investment Treaty. Most of these cases involve energy companies trying to claim ’compensation’ as a result of Argentina’s decision to freeze electricity and water prices during the financial collapse of 2001-2. The US has not been sued once under the same treaty. Ecuador has a similar treaty with the US and has been sued 20 times under it. Bilateral treaties have also been used by the company Veolia to try and sue Egypt for introducing a minimum wage (France-Egypt BIT) and by Philip Morris to stop Uruguay introducing health warning on cigarette packaging (Uruguay-Switzerland BIT). It’s true that multilateral treaties can also include this ’corporate court’ system - for example, the Energy Charter Treaty or the North American Free Trade Area (NAFTA) between Canada, Mexico and the US. But bilateral treaties make up the vast majority of ISDS cases. ISDS isn’t the only problem. These deals often involve southern countries recognising harsher intellectual property regimes designed to help big pharmaceutical corporations. They also tend to impose greater market liberalisation, affording access to multinational corporations but yielding few benefits in return. In theory, both sides have equal rights, so a Tanzanian company will have the same right to access the EU market as the EU multinational does to access the Tanzanian market. But how many Tanzanian investors are there in the UK? Things are also hotting up on the multilateral front too. Negotiations on the Trade in Services Agreement (TiSA) have been steadily progressing without any public scrutiny. TiSA could be even more damaging than TTIP for public services in the 23 countries (including the EU as one country) that are taking part. It is likely to make it all but impossible for countries to bring privatised services back under public control. And then there’s TTIP’s Asian cousin, the Trans-Pacific Partnership (TPP) which poses many of the same threats that TTIP does to Europe. The TPP is a key reason that Democrats have been challenging President Obama’s ’fast track’ trade negotiating authority. South Africa is also reviewing some trade agreements, as is Indonesia. Brazil and India still refuse to sign up to ISDS clauses in their trade deals. Australia is resisting the ISDS clauses in the TPP, as revealed by Wikileaks. Beating TTIP will give a huge boost to these international campaigns, but we also need to be prepared to offer solidarity to other countries. Currently, the UK is one of the world’s most prolific users of BITs, with 104 deals in force globally. The UK government is currently negotiating a handful of BITs, including one with Ethiopia which could give UK corporations more power over Ethiopia’s agricultural sector. 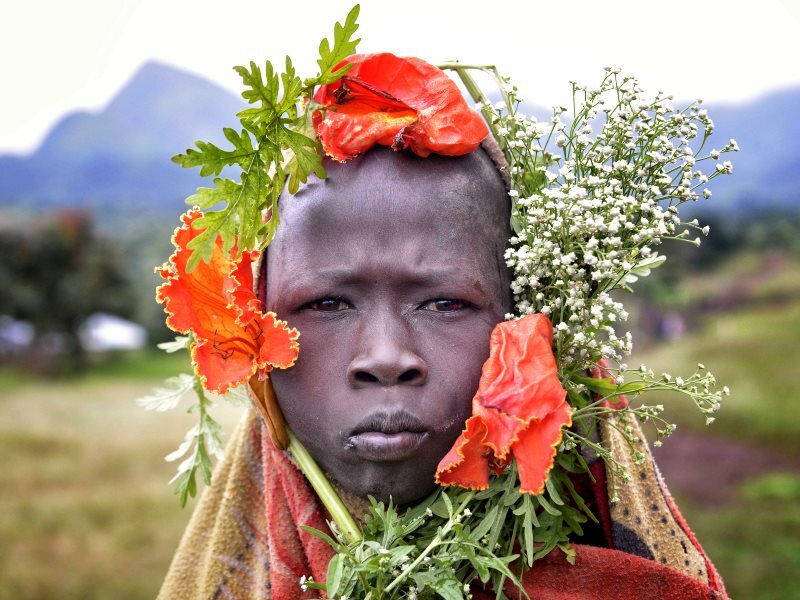 Currently the Ethiopian Government is evicting indigenous tribes from their land to make way for huge agricultural projects, for example in the Omo Valley — where an area several times greater than France is being stolen for corporate farming. Any backtracking on the policy could result in the country being sued by investors. Fifteen years ago, protests against the WTO talks were central to the so-called anti-globalisation movement. Those talks were correctly seen as a corporate power grab. The corporations are back again. It’s time for us to join up globally again and take to the streets to defeat them. Alex Scrivener is policy officer at Global Justice Now. This article was taken from the second issue of Global Justice Now’s Ninety Nine magazine. Some additional reporting by The Ecologist.